This beautiful acrylic shot glass display case has a crystal clear front and sides and a mirrored back to enhance the visibility of your collectible shot glasses. 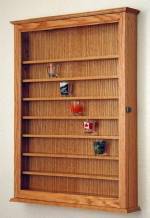 Will hold up to forty small shot glasses and can be hung on a wall, or displayed on a table top. 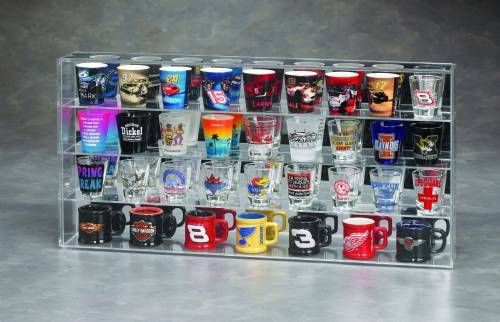 Measures 23.275" L x 3.125" D x 11.75" H. Stock up on a few of these cases and get all of your shot glasses on display!